Ian McNab, 26, this morning pleaded guilty to fondling a 5-year-old girl when he appeared in Magistrate’s Court #4, and he was sentenced to 3 years in prison for the crime. It is alleged that on the afternoon of Friday, December 20, the little girl was walking down the stairs of her home when McNab, known to her as “Baby,” pushed his right hand into the little girl’s pants and began to fondle her parts. The incident allegedly occurred in broad daylight – around 3:30 p.m. The little girl went to tell her father and when he came out of the house, McNab ran away. The child’s father reported the matter to police later that day. 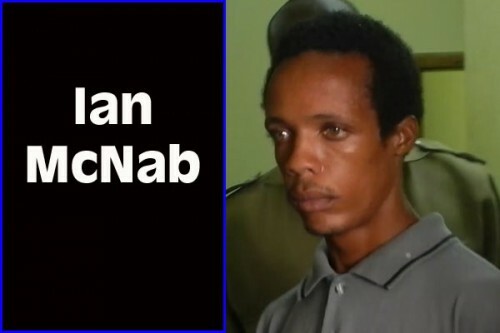 McNab was unrepresented when he appeared in court today.